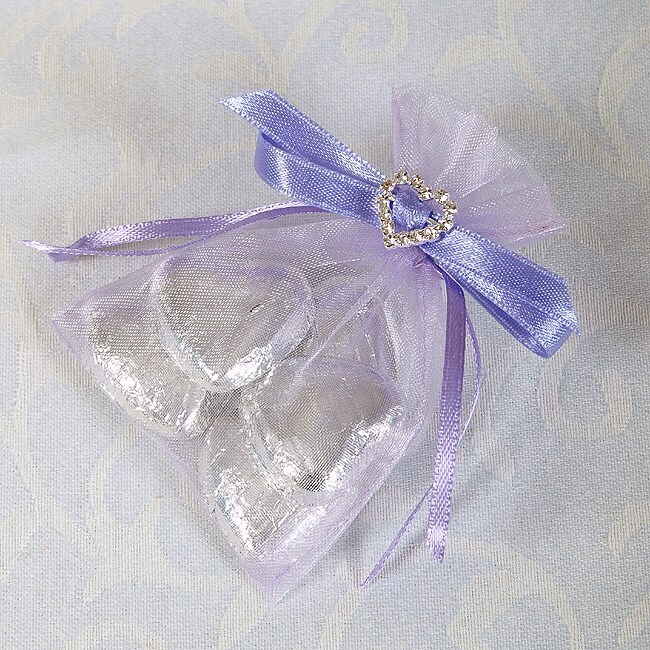 Our ready made organza pouch wedding favours are always in demand as one of our most popular products. These wedding favours will add colour and style to your wedding tables. The organza pouch is finished with a diamante heart and tied with co-ordinate satin ribbon. Pouch Approx Size 10cm x 7.5cm.